I am now taking advanced orders for the 2015 – 2016 planting season. The planting season is the time when willow is dormant and runs from November to the end of March. Please book early to avoid disappointment. .
All the willow structures are planted with love and care. “from an area that the school couldn’t use – broken play equipment uneven Tarmac surfaces,Jason transformed the area into a beautiful central courtyard. We now have a wildlife area, a stage where children can perform, a bug hotel, a sensory garden and a secret door where even adult’s imaginations can believe in a magical world of fairies. We are delighted with the work that Jason has done for the school. 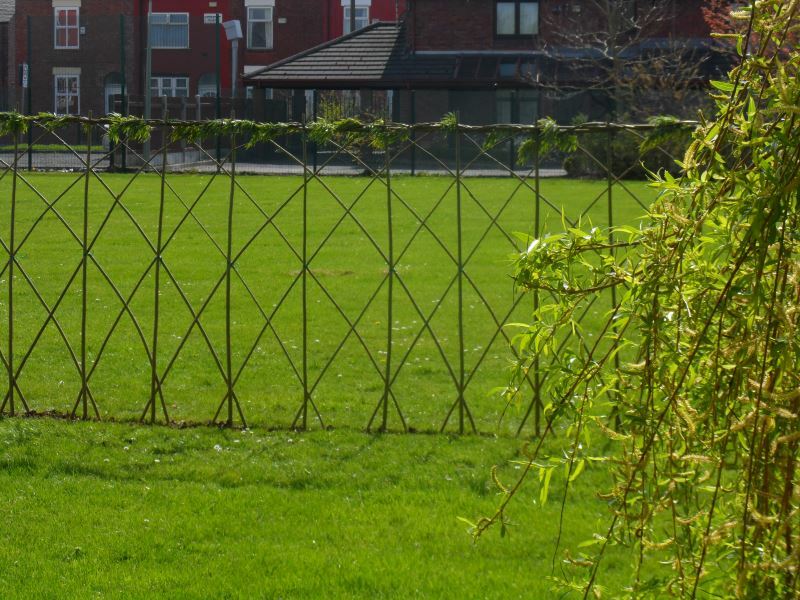 He is a pleasure to work with and has recently returned to produce a willow structure where again children can escape and let their imaginations run wild through creative outdoor play. I would highly recommend Jason and the work that he does to improve the lives of children”. Willow fencing work undertaken, please contact me for details and a quote. . 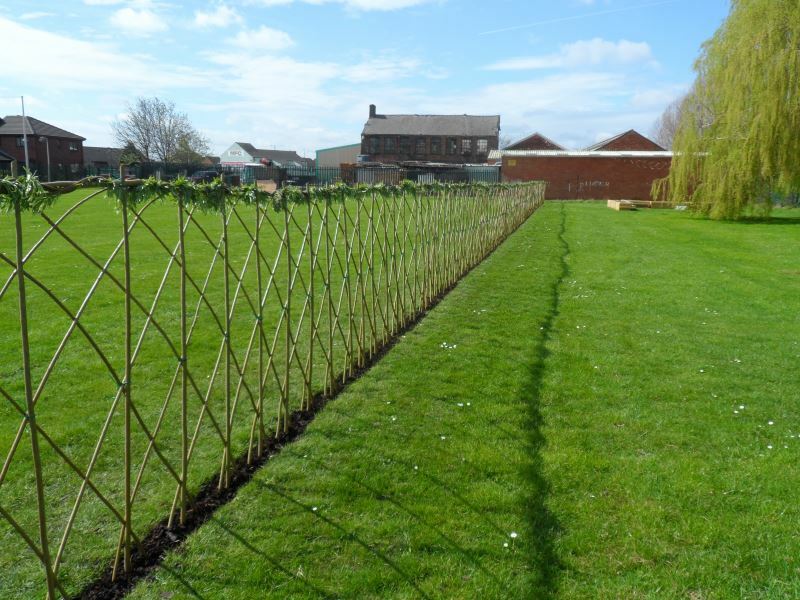 Living willow fencing from 1m to 100m, a natural living fence that is low maintenance and looks amazing . .